Cities around New Zealand face increasing challenges to manage their growth. Recent strategies and policies such as: New Zealand Transport Strategy (NZTS), Sustainable Development for New Zealand Plan of Action (2004) and the requirement for New Zealand to reduce greenhouse gas emissions highlight the need to tackle complex sustainability issues in an integrated framework. Tools that incorporate and integrate different environmental, health and energy related parameters into the decision making process will lead to better urban development and management practices. New Zealand’s urban planners and managers have identified major concerns with current growth trends in terms of energy use and environmental degradation. Therefore they are now attempting to change the design paradigm of urban areas from building scale to neighbourhood scale. The expectation is that these initiatives will increase city vibrancy and decrease energy demands as well as environmental impacts. However, the complex interactions between the urban form and the environment have prevented the quantification of these expected benefits to New Zealand. 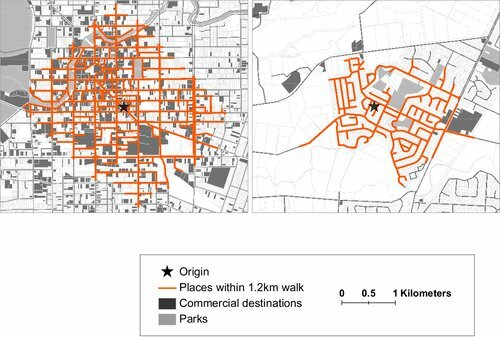 The key question that this research aims to answer is how does an urban unit (neighbourhood, development) respond to its design form and management interventions in terms of vehicle use, transport mode choice, heating and electricity requirements, and what impacts do those choices have in population exposure to harmful air emissions? This research will be conducted by gathering information into an analysis platform where energy use, transport patterns and exposure profiles fit consistently. On this platform, a small scale source-attractors model will be implemented in order to characterise the travel patterns of a neigbourhood. This model will be tuned and validated for the selected case studies providing a model that is representative of New Zealand conditions. 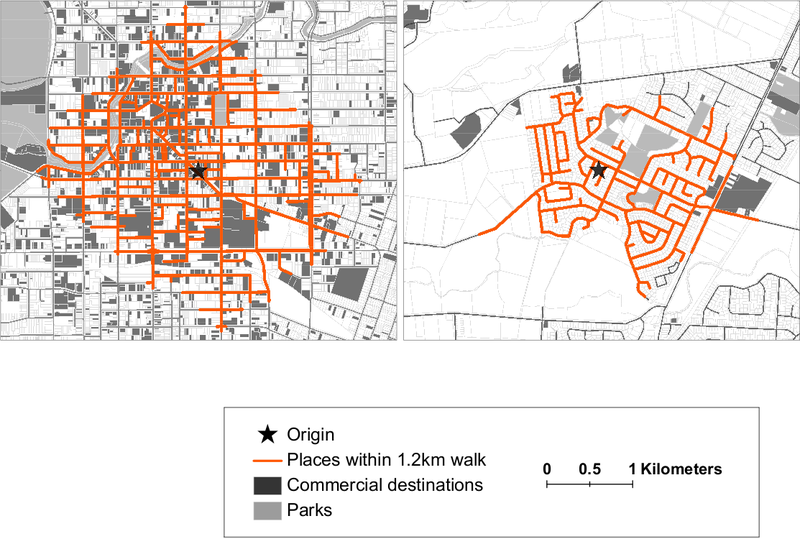 The compatibility of our model with the current Auckland Regional Transport (ART) model will be addressed by developing the small scale travel model to take information from the ART and refine and adjust it according to the observed data. The resulting source-attractor model will form the backbone of platform. The exposure and the energy use modules will take the travel patterns given by the source-attractor model and the building characteristics from the design and translate them into exposure profiles and energy use. The exposure profiles will incorporate stationary (work and residential) and mobile (while travelling) exposure I,e, both indoor and outdoor exposure. The energy use module will differentiate between electricity, heating and transport energy requirements in order to provide a clear set of indicators to evaluate. All modules will be implemented on a GIS system in a format compatible with the needs of the end users. Through a close alignment of the research programmes, this GIS based tool will share characteristics with developments within the Urban Planning that Sustains Waterbodies (PROP-20016-ICE-NIW) programme, in order to deliver a comprehensive toolbox to end users.